"You will give the people an ideal to strive towards. They will race behind you. They will stumble... They will fall... But in time, they will join you in the sun. In time, you will help them accomplish wonders." Those words continually rang in 21 year old Clark Kent's head. Three years ago he had graduated from the local high school in Smallville, Kansas. During that time in school he was plagued with an eerie voice, strange feats of abnormality, and a single symbol, a stylized S that seemed not of this world. He continually sketched it until Ma and Pa Kent grew worried and decided to show him something that would proceed to change his life forever. What they showed him what was under a sheet that had always peaked his curiosity as a child. He never did though, following Pa's rules, he never took the sheet off. So when they did it was a great shock to find out that there was a rocket underneath that sheet, along with other strange items. His parents then proceeded to tell him that he was not from Earth and that his mother and father merely found him in that rocket on their way home. They handed him a clear crystal and as soon as he touched it a voice called out to him, giving him instructions and he felt compelled to follow them. So he packed up his belongings and took the crystal to follow its never ending instructions. He hitch hiked when he could but mostly he had to work in small odd jobs to get money for traveling. It took him six months but he made it all the way to the north pole, there the instructions stopped leaving with one final message... throw the crystal. It had led him this far so he did throw it and watched it sore through the air until sinking in to the ice. Moments later the ice shook and out of the depths rose a gigantic fortress of crystals all melded together. Clark stepped inside and found it to be as large as it was inside as it was outside. In the center lay a bed of a crystals similar to the ones his parents gave him. He took the once from the center and placed it on a pillar in the room. The large room lit up in a myriad of colors until they all focused into the image of a stoic man who called himself Jor-El, Clark's Kryptonian father. The holographic image proceeded to take another two years to fill in the blanks about Clark, or Kal-El's, history and his purpose om Earth along with some education about Earth itself. Apparently he was supposed to be some great beacon of hope for humanity. It was a lot to take in. The final thing Jor-El passed on to him was Kryptonian biotechnology that gave him an indestructible suit of Kryptonian silk emblazoned with the symbol of the House of El to wear in his crusade for justice. Clark didn't know what to do so he did something his gut told him to do, run. 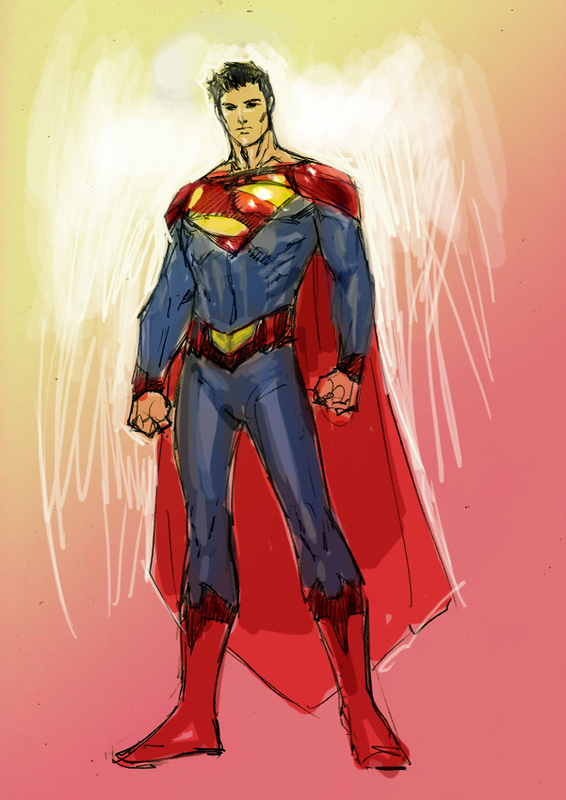 He ran, or actually flew, back to Smallville to his earth parents. Unfortunately he returned in tragedy, Jonathan "Pa" Kent had passed away, shattering his world. His biological father and his adoptive father were now dead. When he returned Ma gave him a letter left to him by Jonathan. Clark read it and couldn't help but cry as Jonathan told him that "You're not just anyone. One day you're gonna have to make a choice. You have to decide what kind of man you want to grow up to be. Whoever that man is, good character or bad, is going to change the world." After reading that Clark knew that he must take up what his father intended him to do and become something greater than a man he would become a.... Superman! Please tell me you stuck with this all the way!! If you couldn't already tell from the quotes used in my description, I'm stoked for Man of Steel coming out next summer and I'm looking to do a Superman story. Now I'm not playing Clark as his cookie cutter Golden Age/ Early Silver Age self. No, I'm going to play him as the confused/ angry young man coming to grips with his powers and purpose. 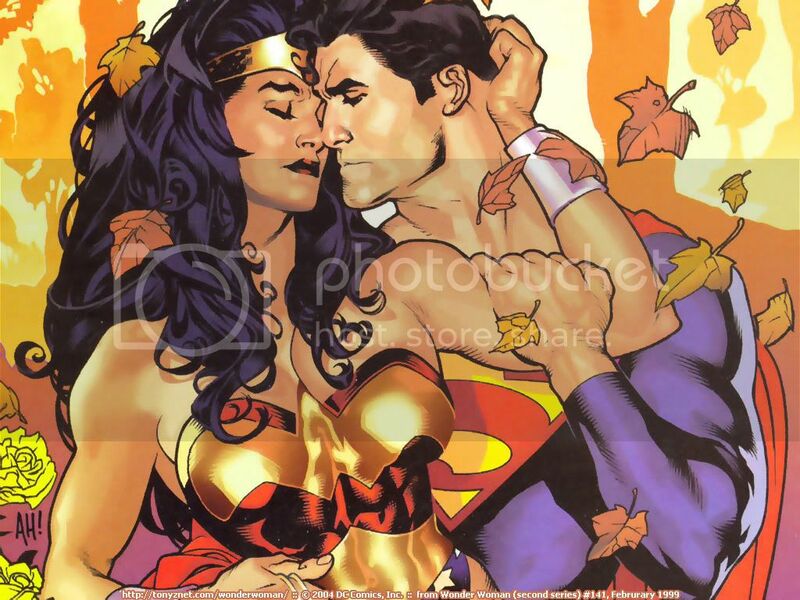 We could go multiple ways with this, we could do the basic Clark x Lois of maybe even a Clark x OC story, but my most craved pairing at the moment is Clark x Diana (Wonder Woman), Clark x Big Barda, or Clark x Power Girl. I'm even open to hearing your own pairing ideas. So pm me and let's work out a plot. 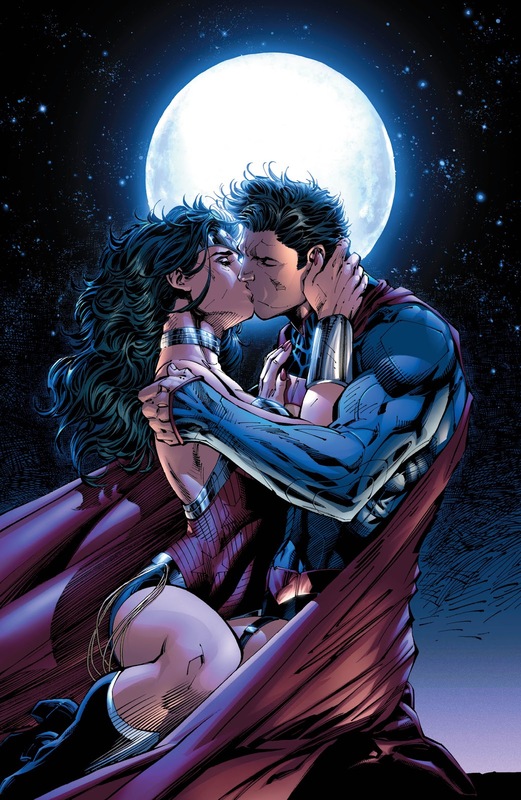 So this started off well, I got a partner thats doubling up as Lois and Diana. So would anyone want to be Stargirl or Big Barda for a story?